As part of a pilot green initiative, Northeast Utilities decided to install a vegetated roof along with a number of green technologies at their corporate headquarters in Berlin, CT. 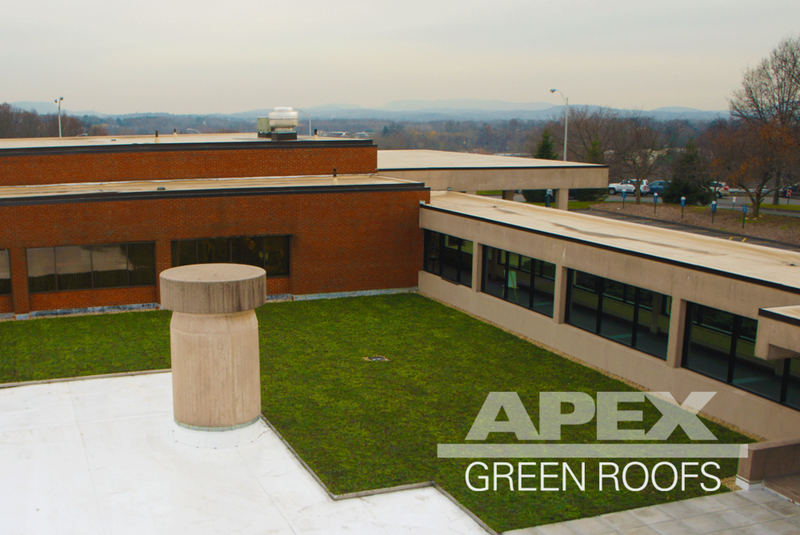 This green roof is Apexs’ first roof established from pre-grown sedum mats (similar to sod) giving the roof a “full-grown” appearance immediately following construction. Along with the green roof, Northeast Utilities also installed a white membrane and solar panels as other examples of green initiatives.